Sat – August 22nd – The Purrfect Party & Free Villa After Party! THIS WEEK PRIVATE FREE VILLA AFTER PARTY! 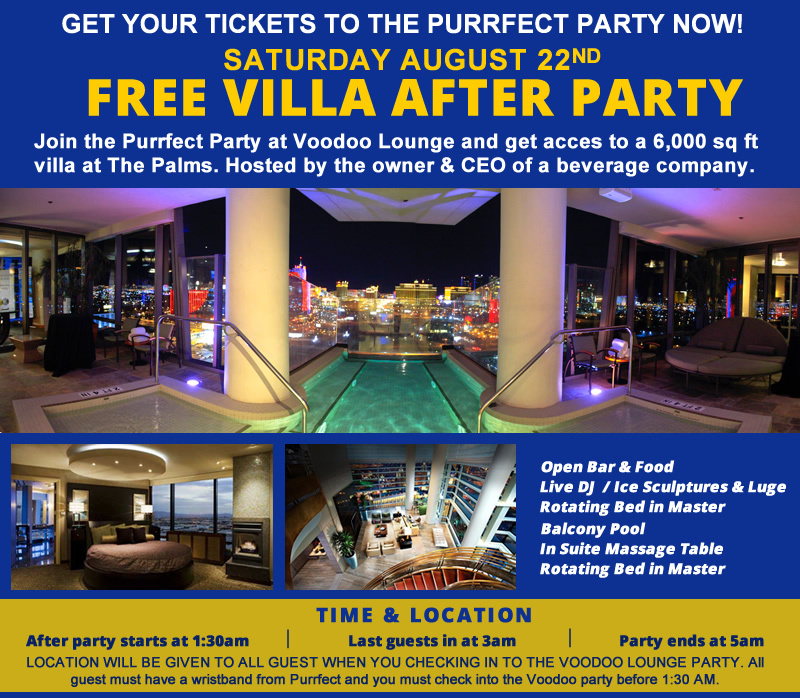 Join the Purrfect Part at Voodoo Lounge and get access to a 6,000 sq ft villa after party at The Palms. Hosted by the owner & CEO of a beverage company. SEE EVENT FLYER FOR MORE DETAILS!